FX has released the trailer for season four of The Strain, which finds Eph and company making a last stand against the strigoi. FX has released the trailer for the final season of The Strain and in it, we see that humanity is dangling by a thread with only a small group of people capable of ensuring its continued existence. Season four of The Strain picks up nine months following the events of the third season finale, with the global nuclear apocalypse triggered by Zach having placed the strigoi in control. With The Master having established a totalitarian regime built around the strigoi’s newfound ability to daywalk, humans are now forced to either work for the strigoi or pay with their lives. The remaining members of Eph’s team must now face their toughest battle yet, dismantling The Master’s rule and saving humanity from its seemingly inevitable doom. From Guillermo del Toro (Pan’s Labyrinth), Carlton Cuse (Lost), and Chuck Hogan (13 Hours: The Secret Soldiers of Benghazi), The Strain stars Corey Stoll (House of Cards), David Bradley (Game of Thrones), Kevin Durand (Vikings), Ruta Gedmintas (The Borgias), and Richard Sammel (The Confessions). 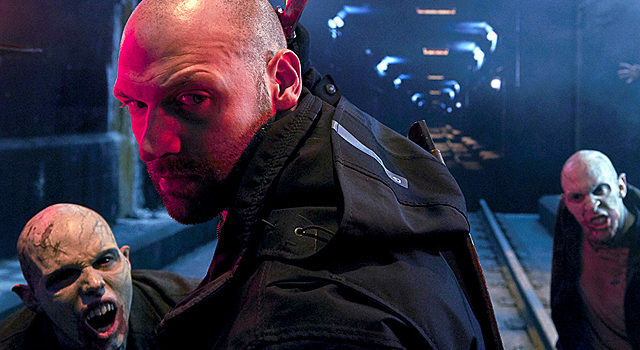 The fourth and final season of The Strain is set to premiere Sunday, July 16th on FX.